Lifting Productivity, Safety and Flexibility with the New Doosan 7 Series Reach Truck. Advanced safety features, sophisticated ergonomic controls, combined with industry leading performance statistics, make the new Doosan 7 Series Reach Truck the best value reach truck on the market. Built in line with Doosan’s ethos and reputation for high quality, affordable machines, the 7 Series is the latest addition to the company’s already extensive warehouse range. The new reach truck offers an unbeatable combination of high productivity, maximum operator comfort and latest technology, utilising the latest AC motors coupled with German Sauer-Danfoss controllers for advanced lifting and intelligent driving characteristics. With just the push of a button, steering can be selected to suit the operating conditions allowing for both 180° and 360° steering options. 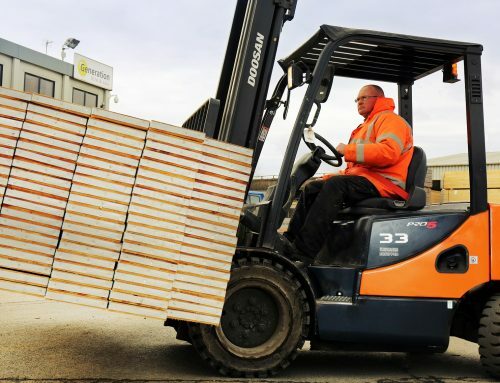 The latest BR series handles heavy loads with ease; changing direction without speed reduction and great manoeuvrability in tight spaces, ideal for working in tight warehouse environments. The fully adjustable seat, armrest and steering console offers reduced strain on arms, wrists & shoulders for comfortable driving day in day out, allowing operators to get the job done faster, better and more safely. Safety lies at the forefront of Doosan’s reach truck design. 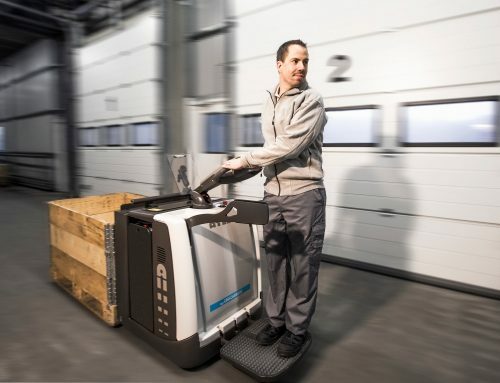 On-board sensors detect and control the travel speeds whilst turning corners, with the load weight and fork heights displayed clearly on the and pre-programmable. All wheel braking allows for greater safety, whilst the innovative auto-centering of the steer wheel system, means there’s no need to check the starting direction. The high precision German manufactured mast with tilting carriage, provides excellent stability in all conditions, whilst increased battery capacities result in great residual capacities at full lift height. 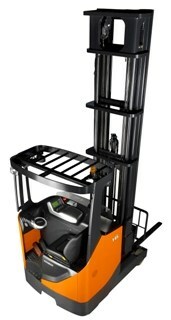 The Doosan reach trucks feature load weight sensors, fork height indicators & height pre-selector. This allows the reach truck to be programmed so the forks stop automatically at pre-selected rack heights for quicker and accurate operation. 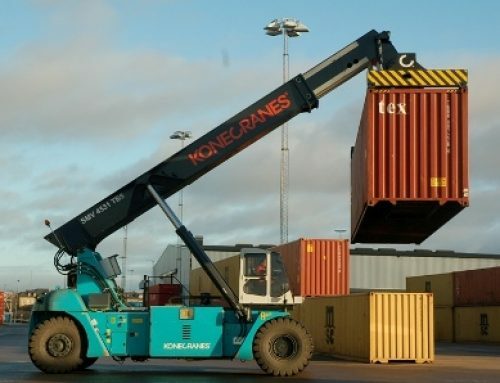 Safety and ease of operation are facilitated by simultaneous hydraulic controls, allowing loads to be lifted and reached forward at the same time, resulting in shorter work cycles and increased productivity. 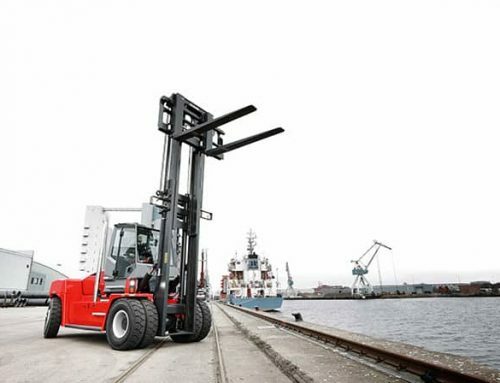 The patented design of the 7-series marks other significant technical advances over traditional reach trucks. Not just its superior stability but also the clean, sharp and comfortable design of the reach truck also has the ability to provide an unquestionably better working environment for operators, helping reduce fatigue and stress – and consequently improving productivity. The mulit-adaptable driver’s environment offers operators exceptional all-round visibility, thanks to the commanding seating position and narrow mast design giving operators excellent visibility of the load and work place. The design of the overhead guard and chassis has been carefully considered to not only provide maximum protection, but also to allow a clear view upwards when placing and retrieving loads. Visibility is improved further by the optional vision assistance camera, with a 7-inch waterproof monitor and LCD display. The 7-Series has other important features fitted as standard, not least a state-of-the-art Graphical User Interface. This informative display manages the machines productivity and maximizes its availability for work as well as providing information on truck status; therefore empowering operators with accurate information about the truck through an easily readable, expendable operator message window. The decision to develop the new reach truck is the latest sign of Doosan’s intention to shift to an even stronger market presence in both national and fleet deals where warehousing equipment plays a more significant role.